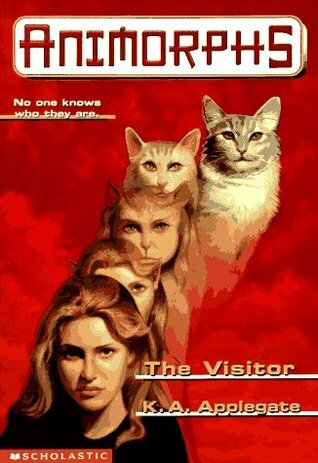 So, anyone who has read my review on the first animorph book, or has been follwoing me on goodreads probably will have caught on to the fact that i’ve been reading a lot of the animorph books lately, but because they are quite slim books I think it’s easier to bunch a couple of them together per review. FYI, there will be some spoilers because these books just keep building off of each other and it would be very hard to keep talking about things without discussing some of the big storylines. 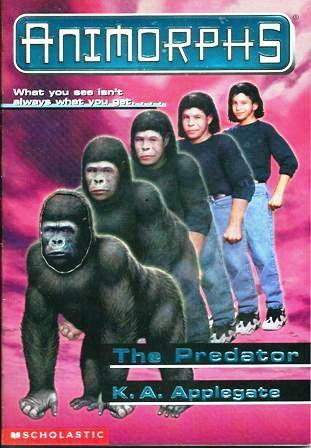 The animorphs find out that who another human-controller is, and it just so happens to be the father of a friend. Rachel takes it upon herself to investigate her friend’s situation. Tobias has a bit of an identity-crisis after getting stuck in his hawk-morph. 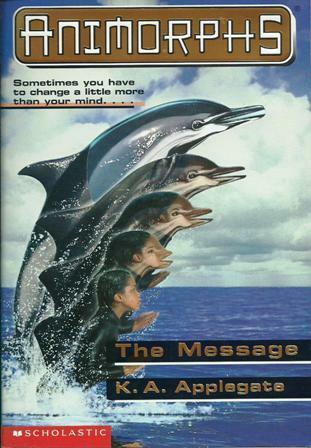 Meanwhile he also finds out about yeerk-supply runs the animorphs will try and sabotage. Cassie is getting some really weird dreams that turn out to be more than just dreams. Will she understand the message in time? 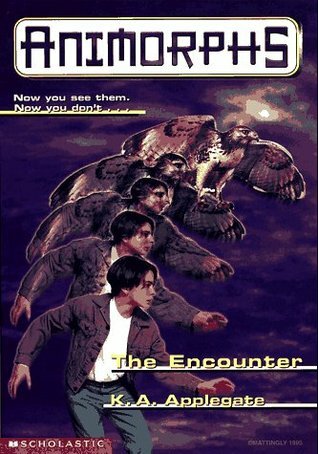 The animorphs are now one member up from their original start-up and they now have knowledge about alien technology. Can they use that to help them in their fight againts the yeerks? Marco never wanted to be an animorph and is on the verge of quitting, can he find a reason to stay in the fight? I have to say I love these books, they are just such a quick read, things happen at a quick pace though it doesn’t feel hugely overwhelming. That’s why I think it’s some real solid middle grade reading material. I also really enjoy how every book switches between the characters, it keeps things a bit fresher. Every character is very well-defined which is very fun. They all have such a different mindset and you can really read that too which is great. I strongly dislike different POV’s that all just feel extensions of each other, but that’s definitely not the case here. Everyone brings a different aspect to the story as a whole which really gives the whole thing another layer. I am starting to dislike the beginning part where the story so far is recapped, though I will admit it’s done pretty well. I just read the first chapter diagonally now because of this though. The stakes are definitely getting bigger, or maybe it’s more that they realise more and more that there is a lot more danger than they realised in this fight against the yeerks. There is also a lot of danger attached to just the morphing alone, even besides what happened to Tobias, and that’s something that is really becoming clear to these kids. 3 stars ~ Entertaining middle grade books about an alien invasion! 1. Inside flap/Back of the book summaries: Too much info? Or not enough? In general I think it has enough information, though sometimes I come across a synopsis which in my opinion gives a bit too much information (like a certain plot point that I would like to have discovered on my own). But what sometimes feels as too much information upfront can just mean that there are more surprises inside, which makes it alright. 2.New book: What form do you want it in? Be honest: Audiobook, E-Book, Paperback, or Hardcover? I love hardcover books, just because they are sturdier and stay prettier over time. But I really enjoy paperbacks also because they are generally cheaper but also a lot more easy to read (no heavy books to hold for hours on end!). Seeing as I generally take my e-reader with me to pretty much anywhere (you’ll never know when a reading-opportunity will strike) I really enjoy e-books as well, though they can’t be added to your library which is a shame. Audiobooks is something I don’t have a lot of and don’t really listen to that often, so this is, for me, the least fun format for books. 3. Scribble while you read? Do you like to write in your books, taking notes, making comments, or do you keep your books clean clean clean? I have never written in books if they weren’t books for school. I’m thinking of starting to add tabs to my books though because I really love quotes and I just want to keep better track of them in my books. plus I think it would be nice to be able to go back and just browse through some curated beautiful moments/quotes in my books. 4. Does it matter to you whether the author is male or female when you’re deciding on a book? What if you’re unsure of the author’s gender? 5. Ever read ahead? or have you ever read the last page way before you got there? I only do this accidentally when a certain paragraph or dialogue will catch my eye while reading. I will flip to a next page and my eyes just catch on something in all caps or with some indents or something. Though this has definitely happened less since getting my e-reader because I see less text at once. 6. Organized bookshelves, or Outrageous bookshelves? I try to keep my bookshelves organized now that I have new ones (and don’t have to stack my books three deep). The only problem is that when I buy new books I don’t immediately put them in their place (it’s a fair bit of work seeing as I arrange my books on author’s names) so it always gets a bit out of control after a while. 7. Have you ever bought a book based on the cover (alone)? Not that much. Usually it goes along with a good review by someone. I have added many a book to my TBR based on just a cover, though when actually buying books I’m a bit more selective. 8. Take it outside to read, or stay in? I like both. Inside can be so nice and cozy, I especially love it when the weather is horrible outside. But reading outside, in the garden, sitting under a tree with a nice little breeze can also be a lot of fun. The only really important thing is that there is not a lot of distracting noise. So this feature is where I tell you which books I have added to my ever-growing TBR-list on Goodreads and why I felt inclined to add it. Sometimes it may also include books that I bought and other times it might be about books I’m getting rid of (physical books or TBR-books). I will include a couple of keywords for every book(though as I’ve not read it yet I’m just pretty much guessing about all of this based on the synopsis) but will always link to the goodreads page as well. Let’s get this party started! Okay, first-off I know those aren’t technically keywords (they are more of the key-phrase variety, but it’s my blog, so I do what I want). Secondly, this is just something that I had to add to my TBR, because I just really loved this game! 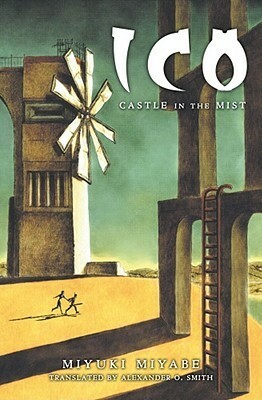 I was really horrible at it, and it scared me sometimes, but I thought it was really intriguing and would love to find out more about the story behind this game, which is exactly what this book offers. So dragons are epic, that much everyone should know. And here we have a book that gives us some beautiful dragon-centered artwork from the viewpoint of a reporter who is on a journey to find dragons. And I have seen some of the artwork (also, there are maps in this book!) 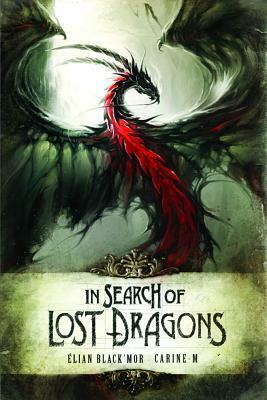 so I’m sure this is gonna be a great book, if only for all the dragons alone! Once again not strictly keywords, but this book was so difficult to compress in just a couple of words. The synopsis on goodreads stays pretty vague but intrigues me so much. I have to admit that this book will probably be a hit or a miss for a lot of people because it seems like it could get quite weird. But I am really interested in this book and that’s why I added it to my TBR. Also, did you notice that gorgeous cover? I also really like the title. I might be a teensy bit shallow. It’s been quite some time since I have read a book about zombies, and though these aren’t “really” zombies, they pretty much qualify as such. The premise looked pretty interesting, tough decisions to be made (what with the cure and all). It seems like it will be part of a series, which can be awesome or really disappointing, depending on how this first book turns out. 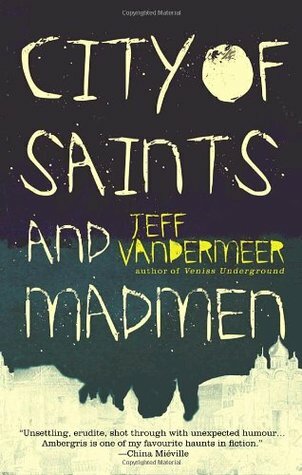 So here’s to hoping that this book is great and subsequently followed by some great other books! So this is obviously a fantasy book, published in 1990 (this book is older than me?! 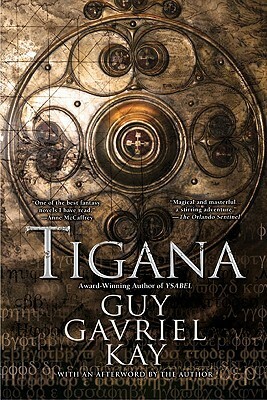 ), and it has a great rating on goodreads (4.1!). It’s also a stand alone book, which is not something you find all that regularly in fantasy, so that’s cool. It’s about two dueling armies, there’s magic involved, psychological warfare, etc. 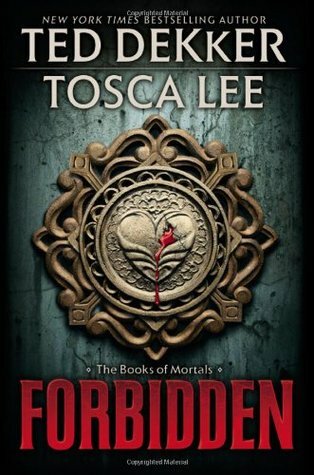 By putting this on my TBR I am hoping to find a fantasy book with a rich world, fleshed out characters, a moving plotline (or more!) and no silly in-between books you sometimes get in series. Have you been adding books to your TBR recently? If so, which ones (maybe I should add them too?!)? Are any of the books I’ve added on your TBR as well?